The church will rule and reign with Christ (1 Cor. 6:2; Rev. 1:6; 5:10; 20:6). "Do ye not know that the saints shall judge the world? and if the world shall be judged by you, are ye unworthy to judge the smallest matters?" "And hath made us kings and priests unto God and his Father; to him be glory and dominion for ever and ever. Amen." "And hast made us unto our God kings and priests: and we shall reign on the earth." "Blessed and holy is he that hath part in the first resurrection: on such the second death hath no power, but they shall be priests of God and of Christ, and shall reign with him a thousand years." The Old Testament saints will also rule and reign, with Christ (Rev. 20:6; Dan. 7:27; Ezek. 37:24-25). "And David my servant shall be king over them; and they all shall have one shepherd: they shall also walk in my judgments, and observe my statutes, and do them. 25 And they shall dwell in the land that I have given unto Jacob my servant, wherein your fathers have dwelt; and they shall dwell therein, even they, and their children, and their children's children for ever: and my servant David shall be their prince for ever." "And I saw thrones, and they sat upon them, and judgment was given unto them: and I saw the souls of them that were beheaded for the witness of Jesus, and for the word of God, and which had not worshipped the beast, neither his image, neither had received his mark upon their foreheads, or in their hands; and they lived and reigned with Christ a thousand years." "And there shall be no night there; and they need no candle, neither light of the sun; for the Lord God giveth them light: and they shall reign for ever and ever." "Arise, shine; for thy light is come, and the glory of the LORD is risen upon thee. For, behold, the darkness shall cover the earth, and gross darkness the people: but the LORD shall arise upon thee, and his glory shall be seen upon thee. And the Gentiles shall come to thy light, and kings to the brightness of thy rising." "For the nation and kingdom that will not serve thee shall perish; yea, those nations shall be utterly wasted." The living Gentile nations will be organized and also carry out features of government (Isa. 19:23-25; Rev. 21:24-26). "In that day shall there be a highway out of Egypt to Assyria, and the Assyrian shall come into Egypt, and the Egyptian into Assyria, and the Egyptians shall serve with the Assyrians. In that day shall Israel be the third with Egypt and with Assyria, even a blessing in the midst of the land: Whom the LORD of hosts shall bless, saying, Blessed be Egypt my people, and Assyria the work of my hands, and Israel mine inheritance." "And the nations of them which are saved shall walk in the light of it: and the kings of the earth do bring their glory and honor into it. And the gates of it shall not be shut at all by day: for there shall be no night there. And they shall bring the glory and honor of the nations into it." Let us not imagine that because there is no sin that there is no need for government. Even the trine God has a perfectly organized arrangement with each person of the trinity performing his task with perfection. There is also the Area of the Explorative Carrying out the Function of Investigation. (Gen. 1:28 with Rev. 21:24a, 26a). "And the nations of them which are saved shall walk in the light of it: and the kings of the earth do bring their glory and honour into it." "And they shall bring the glory and honour of the nations into it." At last the command to Adam will come into its fullness. Adam was commanded to subdue creation. This means investigation in all its facet. Curiosity with which men have been endowed will then reach its fullest development. The hindrances of sin will then be removed. The limitations of money will not be felt. And men will be able to explore the infinite and the infinitesimal. This will be the glory and honor of men. It is the honor of men to search out a matter (Prov. 25:2). "It is the glory of God to conceal a thing: but the honor of kings is to search out a matter." NOTE:This is the first Proverb of a new collection. Here begins the third section of the book. It ends with chapter 29. It is a collection of the Proverbs of Solomon made in the days of Hezekiah. It is suggestive that those scribes put this Proverb first. It is at least probable that the times in which they lived had given them an interpretation of its meaning. They were wonderful times in their revelation of the wisdom of the Divine government. Out of strange perplexities and trials, the God Whose glory was that He had concealed things and yet had Himself been the All-Wise, had led them into better ways of life. Yet had not all this resulted from the fact that they had been under the rule of a king whose highest glory had been that of searching out the secrets of wisdom, in the fear of Jehovah! The words, however, have the widest application. They cover all life. When Solomon wrote this Proverb, it is possible that he was remembering a great word of Moses (Deut. 29:29). The philosophy is the same. The idea here is not that God maintains His glory by hiding things from man. It is rather that all the things so hidden the things concealed, the secret things are known to Him. He is the Ultimate in wisdom. That is His glory. That being so, man's true kingliness consists in his ability to search out these hidden things. That is the principle of all the triumphs of scientific investigations and it is the deepest secret of all advance in spiritual strength. If a man would reign in life, he must begin with the fear of Jehovah which recognizes the glory of His knowledge of hidden things; and he must continue in that fear which maintains the attitude of such right relationship with God as will make it possible for Him to reveal to him His secrets. "The friendship of Jehovah is with them that fear Him." (Psa 25:14). "And the nations of them which are saved shall walk in the light of it: and the kings of the earth do bring their glory and honor into it." "And they shall bring the glory and honor of the nations into it." These words suggest objective creations as the result of research which can be brought as tokens of devotion to the capital city and presented to the King. Nothing like this will ever have happened in the history of mankind. All the fairs of earth will be surpassed by these fairs as men bring the result of their energies to Christ in the New Jerusalem. The limitations to worship in serve will be removed in the eternal state. There will be no more curse. Though much of the curse was removed during the millennium. It was not all removed. The bitterness of toil and misunderstanding and the shortness of life placed certain limitations upon men to give their best in service or worship. But this will all be removed during the eternal state. 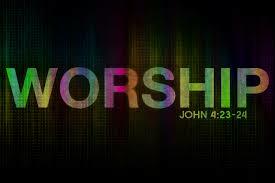 The real incentive for service and worship will be the presence of the throne of God and the Lamb. At the center of all life will be God's throne in perfect control of all facts of life. And the Lamb is the central feature revealed in that throne. His love and grace will elicit the most profound devotion and response. The very essence of service will be worship of the eternal God revealed in Christ. This was the call of Paul to all Christians while on earth Rom. 12:1 "I beseech you therefore, brethren, by the mercies of God, that ye present your bodies a living sacrifice, holy, acceptable unto God, which is your reasonable service (worship)." NOTE: What is man essentially, for it is in his essential nature that he is in the image of God? Man essentially is spirit, his present body being his probational dwelling place, that through which he receives impressions, and that through which he expresses the fact of his own being. The marginal reading of the Revised Version changes the word "service" into "worship," and therein lies a revelation of the true relation of the spirit of man to his body. Through the medium of the body, the truth concerning the spirit expresses itself. Where the body is presented, it is presented by the spirit, and through this devotion of the body, the spirit expresses its worship. The essential fact in man therefore is his spirit, and it is in spiritual essence that man is made in the image of God. That was the service of Christ Who gave us the meaning of being made in the image and likeness. It is then that the saved realize their true relationship to God. They are servants (doulos) that is bond slaves. They have been bought with the precious blood of the Lamb. But this is true freedom. For willingly they have turned themselves over to Him. And there is no servant that is freer then the willing servant. All their service then is like that of the priest in the temple. It is worship. This does not mean that every saint will serving in the temple. But it does mean that every activity they perform in the way of work will take on the quality of worship to the Lamb. It is safe to say that saved people in general wonder what they will be doing through the ages of eternity. Most of the saints envision it as a state of ineffable bliss when the disappointments and unhappiness of the present are removed. Others think of it as physical release from the strenuous exertions of the present life. Still others carry the notion that it is a state of idleness and enjoyment. And many would be hard pressed for any answer as to what lies ahead. Energetic people are appalled at the thought that the eternal state will be character­ized by inactivity, idleness, mere release. The reason for this response is that the very essence of life is activity and productiveness. As a result the future is unat­tractive, even repulsive. Mere imagination will not bring the answer to this question that persists. The answer must be found in the revelation of God recorded in the Bible. And a careful examination will reveal that there is sufficient information to brighten the prospect of the future. There are at least three areas of activity that will be in evidence during the eternal state. "On the east three gates; on the north three gates; on the south three gates; and on the west three gates. And the wall of the city had twelve foundations, and in them the names of the twelve apostles of the Lamb. And he that talked with me had a golden reed to measure the city, and the gates thereof, and the wall thereof. And the city lieth foursquare, and the length is as large as the breadth: and he measured the city with the reed, twelve thousand furlongs. The length and the breadth and the height of it are equal. And he measured the wall thereof, an hundred and forty and four cubits, according to the measure of a man, that is, of the angel. And the building of the wall of it was of jasper: and the city was pure gold, like unto clear glass. And the foundations of the wall of the city were garnished with all manner of precious stones. The first foundation was jasper; the second, sapphire; the third, a chalcedony; the fourth, an emerald; The fifth, sardonyx; the sixth, sardius; the seventh, chrysolyte; the eighth, beryl; the ninth, a topaz; the tenth, a chrysoprasus; the eleventh, a jacinth; the twelfth, an amethyst. And the twelve gates were twelve pearls: every several gate was of one pearl: and the street of the city was pure gold, as it were transparent glass. And I saw no temple therein: for the Lord God Almighty and the Lamb are the temple of it. And the city had no need of the sun, neither of the moon, to shine in it: for the glory of God did lighten it, and the Lamb is the light thereof." The Capital city, New Jerusalem, commonly referred to as Heaven will come down to the earth (Rev. 21:2, 10). So far as I am able to see, this city will not be suspended above the earth. It will come to rest upon the earth. This seems to be the only poss­ible explanation in the light of the fact that men living in natural bodies on the face of the earth will make unceasing pilgrimages to the city (Rev. 21:24-26). Living outside the city and inhabiting the broad expanse of the changed earth, they are all saved and holy, and therefore nothing will ever enter the city to defile or destroy it (Rev. 21:27). This city is the home of the Church, and other resurrected and glorified saints. It is the home of the triune God and an innumerable company of angels (Heb. 12:22-24; Rev. 21:2-3, 9-10; 22:5). The description of the city is literal. The materials are precisely as stated. This does not mean that they may not have also symbolical meaning. God was not impoverished when He created the heavens where He dwells, and where the spiritual nobility will dwell. Glory speaks of the sum total of all the attributes of God. This is like the light of a stone most precious, namely that of a jasper stone, which is crystalline as a diamond, with scintillating facets flashing light in every direction. This is em­blematic of the holiness of God, the fundamental attribute of God. This light centers in the Son of God Himself (Rev. 21:23). Even though the sun, moon, and stars are in their place and performing their functions, even though the earth rotates and there is day and night, there is no such thing as night in this city for the effulgence of the Son of God pours forth light continuously. Any pilgrim who comes up on the breadth of the earth and for the first time views this city, this phenomenon of light will stagger him with wonder and awe so that he is speechless. The entrance to the city is a marvel of architecture and symbolism. Rev. 21:12, 13, 21a. There are twelve gates to the city, three on a side. This means that they are 300 to four hundred miles apart, for each side of the city is 1500 miles (Rev. 21:16). This follows somewhat the pattern of the old city of Jerusalem. From any direction there is accessibility for the inhabitants of the realm. Each gate is made of pearl, and consists of one entire pearl for each gate. This pearl symbolizes the death of Christ. A pearl is made by the incision in the side of an oyster into which a bit of sand creeps. The oyster surrounds it with a serum that transforms the silicate into a pearl. This means that the only way into this city is through the riven side of Christ. On each gate is the name of one of the twelve tribes of Israel. This points to the fact that on the human side as designed by God the Jews are the way into the presence of God. As Jesus said, "Salvation is of the Jew" (John 4:22). The Jews were chosen of God to be the channel of Christ into the world, as well as that people through whom the word of God was given. This city has twelve foundations, probably indicating a substantial foundation. Upon each foundation there is the name of one of the apostles of the Lamb. Since this city is especially the dwelling place of the Bride, the church, it seems appropriate to point out that on the human side the foundation of the city consists of the twelve apostles (Eph. 2:20). These men pioneered the movement that led to the building of the church. They laid their lives on the line, and everyone paid with his life except perhaps the apostle John. Now, for eternity they will be memorialized in this city. These foundations are garnished with beautiful stones. Here are all the colors of the rainbow, the entire spectrum of light. If the saved are not color conscious now, they will be in eternity. There is jasper, diamond, crystalline white depicting the glory of God, and when broken up into the colors of the spectrum there is all the colors that follow. Sapphire - blue; Chalcedony - greenish sort of emerald; Emerald - bright green; Sardonyx - red and white; Sardius - bright red; Chrysolyte -golden yellow; Beryl - bluish green; Topaz - yellowish green; Chrysoprasus - apple or golden green; Jacinth - blue, violet; Amethyst - purple. These colors are all for the purpose of symbolizing the fact that the Church radiates every aspect and detail of the holiness of God as the bride makes public exhibition of the glory of God. The immensity of this city is suggested by the fact that it is 1500 miles wide, long, and high. It would reach from New York City to Denver, from Canada to the Caribbean, and into the stratosphere. No one has ever seen a city of this size. It is one that only God could make (Heb. 11:10). This city so broad and high shining like a diamond on the surface of the earth could be seen from thousands of miles away and produce wide-eyed wonder on the part of every pilgrim traveling to the city. The shape of the city is not indicated. It could be a cube or like a pyramid. In any case it is the last wonder of the world. In this city there are many dwelling places (John 14:2). If the density of population is reduced from that of New York City or London, there is room for 72,000,000,000 billion people on one level. This is more people than has ever lived. If it is constructed like a skyscraper, and there should be a floor for every mile, then there would be room for one hundred eight trillion people. This makes it quite evident that for the multitudes of the spiritual nobility, there will be plenty of room. No one needs imagine that he will not have room to move his elbows. The enclosure or wall of the city is made of jasper. Rev. 17; 21:17-18a 44 cubits measures 216 feet. Surely this is amazing for a city that reaches into the sky 1500 miles. This wall quite evidently on the physical side is not intended to protect from physical harm. Jasper is crystalline or diamond speaking of the holiness of God. It is that attribute the guards the city within and protects from sin, and is a wall of protection from my intrusion of sin from without (Rev. 21:27). Since the city itself is holy, this is also true of the entire realm. The gold of this city is so pure that it is transparent. It is to abundant that it is used even for the streets of the city. It speaks of the righteousness of God made available at the Cross (Rev. 3:18). This is ever to remind the saints of the city of the righteousness of God whereon our feet have been set in sovereign grace. Wherever men look they will be reminded of this supreme performance at the cross. This is the river of the water of life. It comes from the throne of God, indicating that life is from the central being of existence, and it comes from the lamb who is channel of all blessing from God. This tree bears its fruit every month indicating that there is no end to blessing supplied by God. The leaves are for the health of the nations. This does not imply sickness. But it does indicate that the nations are in bodies of flesh and God has made ample provision for that physical life to last forever. This was God's original intention in the Garden of Eden (Gen. 3:22). But because of sin, God withdrew the tree of life and it has not been seen through the ages until the establishment of the eternal state. Now men are without sin, and they going to live forever, and the tree preserves their physical health. There is an amazing change to take place in moving from the tribulation to the Millenium. 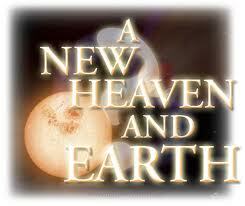 So that it is called a new heaven and a new earth. Isa. 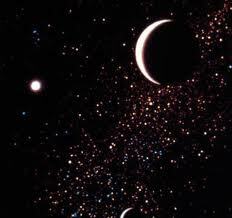 65:17 "For, behold, I create new heavens and a new earth: and the former shall not be remembered, nor come into mind." "Then shall he give the rain of thy seed, that thou shalt sow the ground withal; and bread of the increase of the earth, and it shall be fat and plenteous: in that day shall thy cattle feed in large pastures. The oxen likewise and the young asses that ear the ground shall eat clean provender, which hath been winnowed with the shovel and with the fan. And there shall be upon every high mountain, and upon every high hill, rivers and streams of waters in the day of the great slaughter, when the towers fall. Moreover the light of the moon shall be as the light of the sun, and the light of the sun shall be sevenfold, as the light of seven days, in the day that the LORD bindeth up the breach of his people, and healeth the stroke of their wound." There will be an increase in the fertility of the soil (Isa. 32:13-15; Amos 9:13). "Upon the land of my people shall come up thorns and briers; yea, upon all the houses of joy in the joyous city: Because the palaces shall be forsaken; the multitude of the city shall be left; the forts and towers shall be for dens for ever, a joy of wild asses, a pasture of flocks; Until the spirit be poured upon us from on high, and the wilderness be a fruitful field, and the fruitful field be counted for a forest." "Behold, the days come, saith the LORD, that the plowman shall overtake the reaper, and the treader of grapes him that soweth seed; and the mountains shall drop sweet wine, and all the hills shall melt." The nature of wild animals will change (Isa. 11:6-8). "The wolf also shall dwell with the lamb, and the leopard shall lie down with the kid; and the calf and the young lion and the fatling together; and a little child shall lead them. And the cow and the bear shall feed; their young ones shall lie down together: and the lion shall eat straw like the ox. And the sucking child shall play on the hole of the asp, and the weaned child shall put his hand on the cockatrice' den." Disease and deformity will disappear (Isa. 35:5-6; 33:24). "Then the eyes of the blind shall be opened, and the ears of the deaf shall be unstopped. Then shall the lame man leap as an hart, and the tongue of the dumb sing: for in the wilderness shall waters break out, and streams in the desert." "And the inhabitant shall not say, I am sick: the people that dwell therein shall be forgiven their iniquity." Poverty and the distribution of goods will change (Isa. 65:21-23). "And they shall build houses, and inhabit them; and they shall plant vineyards, and eat the fruit of them. They shall not build, and another inhabit; they shall not plant, and another eat: for as the days of a tree are the days of my people, and mine elect shall long enjoy the work of their hands. They shall not labour in vain, nor bring forth for trouble; for they are the seed of the blessed of the LORD, and their offspring with them." Long life will be restored (Isa. 65:20, 22). "There shall be no more thence an infant of days, nor an old man that hath not filled his days: for the child shall die an hundred years old; but the sinner being an hundred years old shall be accursed." "They shall not build, and another inhabit; they shall not plant, and another eat: for as the days of a tree are the days of my people, and mine elect shall long enjoy the work of their hands." "There shall be no more thence an infant of days, nor an old man that hath not filled his days: for the child shall die an hundred years old; but the sinner being an hundred years old shall be accursed." "And when the thousand years are expired, Satan shall be loosed out of his prison, And shall go out to deceive the nations which are in the four quarters of the earth, Gog and Magog, to gather them together to battle: the number of whom is as the sand of the sea. And they went up on the breadth of the earth, and compassed the camp of the saints about, and the beloved city: and fire came down from God out of heaven, and devoured them." "Then cometh the end, when he shall have delivered up the kingdom to God, even the Father; when he shall have put down all rule and all authority and power. For he must reign, till he hath put all enemies under his feet. The last enemy that shall be destroyed is death. For he hath put all things under his feet. But when he saith all things are put under him, it is manifest that he is excepted, which did put all things under him. And when all things shall be subdued unto him, then shall the Son also himself be subject unto him that put all things under him, that God may be all in all." This will be effected by fire developing like nuclear power within the elements of the earth..
2 Peter 3:10, 12 cf. verse 7 "But the day of the Lord will come as a thief in the night; in the which the heavens shall pass away with a great noise, and the elements shall melt with fervent heat, the earth also and the works that are therein shall be burned up." "Looking for and hasting unto the coming of the day of God, wherein the heavens being on fire shall be dissolved, and the elements shall melt with fervent heat?" "But the heavens and the earth, which are now, by the same word are kept in store, reserved unto fire against the day of judgment and perdition of ungodly men." Rev. 20:11 "And I saw a great white throne, and him that sat on it, from whose face the earth and the heaven fled away; and there was found no place for them." It is not necessarily to be concluded that this takes place in an instant of time, or that it takes place universally at the same time. It is more than likely that it takes place in a progressive movement so that the saved can be moved from one place to another without peril to themselves. Finish results in a new arrangement of the substance of the heavens and the earth. Daniel and his friends endured fervent heat. What happens in the millennium is a fore glimpse of what will happen (Isa. 65:17). 2 Peter 3:13 "Nevertheless we, according to his promise, look for new heavens and a new earth, wherein dwelleth righteousness." Rev. 21:1-2, 5 "And I saw a new heaven and a new earth: for the first heaven and the first earth were passed away; and there was no more sea. And I John saw the holy city, new Jerusalem, coming down from God out of heaven, prepared as a bride adorned for her husband." "And he that sat upon the throne said, Behold, I make all things new. And he said unto me, Write: for these words are true and faithful." But though in all the accounts this is said to be a destruction of the old and the formation of the new, this does not mean annihilation. All it means is the rearrangement of the substance, not the obliteration of the substance. In both passages of the scripture where the word new is used, it means new in kind and not new in time. It is the word “kaine” in Greek. Re 20:1 ¶ And kai I saw eidw an angel aggeloV come down katabainw from ek heaven ouranoV, having ecw the key kleiV of the bottomless pit abussoV and kai a great megaV chain alusiV in epi his autoV hand ceir. If it were a word meaning new in time, then this would suggest the obliteration of the old from existence, and an absolutely new creation without the use of preexisting material as in the original creation. This could not mean annihilation for that would pose insurmountable problems. It would mean the obliteration of hell and that the punishment of the wicked would be over. It would mean that there is no continuation of persons from Adam into the eternal state. It would mean that all the promises to Israel concerning the land would be nullified. This transition will mark the change taking place in the earth and its immediate heavenly environment where the drama of sin and salvation has taken place. Surely there is no suggestion that the heavens where God dwells will be changed. Surely there is no reason for the change in the stellar heavens that have had no immediate involvement in the sin and salvation of earth. Surely it does not mean that there is any change in hell where the wicked angels and men and Satan are confined. It does mean that there will be a complete rearrangement of the substance of the: earth and its immediate environs so that there will be no trace of the effects of sin, and the whole scene will be one clothed in beauty and holiness for the perfect kingdom that will last forever. At last there will be a kingdom in the earth that God planned for man in which His Son will display His glory forever. The all-consuming purpose of God in creation was to establish a Kingdom on the earth, in which He could display His glory in the Person of His Son. This display of His glory was to be made to creatures made in His image, and therefore, capable of apprehending, appreciating, and applauding His glory. The unfolding drama of the Bible depicts the movements of God in the accomplishment of that purpose. Psa. 115:16 "The heaven, even the heavens, are the Lord's: but the earth hath he given to the children of men." Rev. 21:22-23 "And I saw no temple therein: for the Lord God Almighty and the Lamb are the temple of it. And the city had no need of the sun, neither of the moon, to shine in it: for the glory of God did lighten it, and the Lamb is the light thereof." Rev. 22:4-5 "And they shall see his face; and his name shall be in their foreheads. And there shall be no night there; and they need no candle, neither light of the sun; for the Lord God giveth them light: and they shall reign for ever and ever." The land of Israel will be the inheritance of Israel forever. Though dressed in new garb, it will be possible to identify it. "And the LORD appeared unto Abram, and said, Unto thy seed will I give this land: and there builded he an altar unto the LORD, who appeared unto him." "For all the land which thou seest, to thee will I give it, and to thy seed for ever." "In the same day the LORD made a covenant with Abram, saying, Unto thy seed have I given this land, from the river of Egypt unto the great river, the river Euphrates:"
"And I will establish my covenant between me and thee and thy seed after thee in their generations for an everlasting covenant, to be a God unto thee, and to thy seed after thee. And I will give unto thee, and to thy seed after thee, the land wherein thou art a stranger, all the land of Canaan, for an everlasting possession; and I will be their God." It is the arrangement of heaven and earth that changes so that there is a new arrangement of heaven and earth. The first heaven and earth is definitely described as an arrangement. Kosmos kosmoV kosmos kos'-mos is the word used in 2 Pet. 3:6. It consisted of heaven and earth as indicated in 2 Peter 3:5. This is referred to as the First. When the change is effected it is referred to as the new (Rev. 2l:1-2; 2 Peter 3:13). "Whereby the world that then was, being overflowed with water, perished." "For this they willingly are ignorant of, that by the word of God the heavens were of old, and the earth standing out of the water and in the water:"
"And I saw a new heaven and a new earth: for the first heaven and the first earth were passed away; and there was no more sea. And I John saw the holy city, new Jerusalem, coming down from God out of heaven, prepared as a bride adorned for her husband." "Nevertheless we, according to his promise, look for new heavens and a new earth, wherein dwelleth righteousness." The changes is described as something passing away. Rev. 21:1. But there is nothing in these words to suggest that there is annihilation. There is destruction, but it is destruction of arrangement not of substance. The words suggest the passing from the present scenes (1 John 2:17). "And I saw a new heaven and a new earth: for the first heaven and the first earth were passed away; and there was no more sea." "And the world passeth away, and the lust thereof: but he that doeth the will of God abideth for ever." 2 Peter 3:10, 12 with Rev. 21:5 "But the day of the Lord will come as a thief in the night; in the which the heavens shall pass away with a great noise, and the elements shall melt with fervent heat, the earth also and the works that are therein shall be burned up." "Looking for and hasting unto the coming of the day of God, wherein the heavens being on fire shall be dissolved, and the elements shall melt with fervent heat?" "And he that sat upon the throne said, Behold, I make all things new. And he said unto me, Write: for these words are true and faithful." This outward pattern will have removed from it all the evidences of sin and judgment that characterized the former world. Here righteousness will settle down and be at home (2 Peter 3:13). If this be true there will be 32 times as much space for men to live upon. On the land surface today, only about 1/4 of it is habitable due to the presence of mountains, deserts, polar regions etc. And three fourths of the earth surface is covered with water. The present condition of the earth was caused by the tremendous cataclysm caused by the flood. That will be changed back to the pristine conditions that existed before the flood, and beyond that will be changed for the better for eternity. In addition to all this, heaven will descend to the earth, so that God will dwell with men. Rev. 21:2-3 "And I John saw the holy city, new Jerusalem, coming down from God out of heaven, prepared as a bride adorned for her husband. And I heard a great voice out of heaven saying, Behold, the tabernacle of God is with men, and he will dwell with them, and they shall be his people, and God himself shall be with them, and be their God." "But ye are come unto mount Sion, and unto the city of the living God, the heavenly Jerusalem, and to an innumerable company of angels, To the general assembly and church of the firstborn, which are written in heaven, and to God the Judge of all, and to the spirits of just men made perfect, And to Jesus the mediator of the new covenant, and to the blood of sprinkling, that speaketh better things than that of Abel." This is the home and place of operation of the Spiritual nobility, saved, and glorified. Rev. 21:2-3, 9-10 "And I John saw the holy city, new Jerusalem, coming down from God out of heaven, prepared as a bride adorned for her husband. And I heard a great voice out of heaven saying, Behold, the tabernacle of God is with men, and he will dwell with them, and they shall be his people, and God himself shall be with them, and be their God." "And there came unto me one of the seven angels which had the seven vials full of the seven last plagues, and talked with me, saying, Come hither, I will show thee the bride, the Lamb's wife. And he carried me away in the spirit to a great and high mountain, and showed me that great city, the holy Jerusalem, descending out of heaven from God,"
Heb. 12:23 "To the general assembly and church of the firstborn, which are written in heaven, and to God the Judge of all, and to the spirits of just men made perfect." "And I John saw the holy city, new Jerusalem, coming down from God out of heaven, prepared as a bride adorned for her husband. And I heard a great voice out of heaven saying, Behold, the tabernacle of God is with men, and he will dwell with them, and they shall be his people, and God himself shall be with them, and be their God." "And there came unto me one of the seven angels which had the seven vials full of the seven last plagues, and talked with me, saying, Come hither, I will show thee the bride, the Lamb's wife. And he carried me away in the spirit to a great and high mountain, and showed me that great city, the holy Jerusalem, descending out of heaven from God,"
"To the general assembly and church of the firstborn, which are written in heaven, and to God the Judge of all, and to the spirits of just men made perfect." This is also the home of the Old Testament saints (Heb. 12:23; 11:10; Rev. 20:6 with 22:5). "Blessed and holy is he that hath part in the first resurrection: on such the second death hath no power, but they shall be priests of God and of Christ, and shall reign with him a thousand years." "And there shall be no night there; and they need no candle, neither light of the sun; for the Lord God giveth them light: and they shall reign for ever and ever." This is also the home of the tribulation martyrs (Rev. 20:4 with 22:5). "But ye are come unto mount Sion, and unto the city of the living God, the heavenly Jerusalem, and to an innumerable company of angels." Saved Israel will occupy the land that God gave to Israel in the original promise to Abraham. "In the same day the LORD made a covenant with Abram, saying, Unto thy seed have I given this land, from the river of Egypt unto the great river, the river Euphrates." They are saved during the period of tribulation and the Millennium. But they will be living in bodies from which the curse is lifted and the old Nature is removed. Their bodies will be natural from which the old nature has been removed and the curse lifted. They will pursue the various tasks of life suited to life in the earth with amazing skill and bring their productions into the Holy City. There is no death, so therefore no resurrection and glorification. They will be living in bodies such as Adam possessed before the fall. There is no indication whether there will be procreation or not. Re 20:5 But de the rest loipoV of the dead nekroV lived anaxaw not ou again anaxaw until ewV the thousand cilioi years etoV were finished telew. This outoV is the first prwtoV resurrection anastasiV. "He is the Rock, his work is perfect: for all his ways are judgment: a God of truth and without iniquity, just and right is he." "According to the eternal purpose which he purposed in Christ Jesus our Lord." "Who being the brightness of his glory, and the express image of his person, and upholding all things by the word of his power, when he had by himself purged our sins, sat down on the right hand of the Majesty on high." And is the place where God was to display His glory (Ezek. 43:2). "And, behold, the glory of the God of Israel came from the way of the east: and his voice was like a noise of many waters: and the earth shined with his glory." There is abundant evidence from- the scriptures that the heavens and the earth will abide forever. Psa. 111:7-8 "The works of his hands.... they stand fast for ever and ever". Psa. 148:3-6 "Sun and moon...stars...were created...He hath also stablished them for ever and ever"
This is true for the heavens and all in them. Psa. 72:5, 7, 17 "They shall fear thee as long as the sun and moon endure, throughout all generations." "In his days shall the righteous flourish; and abundance of peace so long as the moon endureth." "His name shall endure for ever: his name shall be continued as long as the sun: and men shall be blessed in him: all nations shall call him blessed." Psa. 89:36-37 "For who in the heaven can be compared unto the LORD? who among the sons of the mighty can be likened unto the LORD? God is greatly to be feared in the assembly of the saints, and to be had in reverence of all them that are about him." Psa. 136:5-9 "To him that by wisdom made the heavens: for his mercy endureth for ever. To him that stretched out the earth above the waters: for his mercy endureth for ever. To him that made great lights: for his mercy endureth for ever: The sun to rule by day: for his mercy endureth for ever: The moon and stars to rule by night: for his mercy endureth for ever." Isa. 30:26 "Moreover the light of the moon shall be as the light of the sun, and the light of the sun shall be sevenfold, as the light of seven days, in the day that the LORD bindeth up the breach of his people, and healeth the stroke of their wound." Isa. 60:19-20 "The sun shall be no more thy light by day; neither for brightness shall the moon give light unto thee: but the LORD shall be unto thee an everlasting light, and thy God thy glory. Thy sun shall no more go down; neither shall thy moon withdraw itself: for the LORD shall be thine everlasting light, and the days of thy mourning shall be ended." Isa. 49:8 "Thus saith the LORD, In an acceptable time have I heard thee, and in a day of salvation have I helped thee: and I will preserve thee, and give thee for a covenant of the people, to establish the earth, to cause to inherit the desolate heritages." Jer. 31:35 "Thus saith the LORD, which giveth the sun for a light by day, and the ordinances of the moon and of the stars for a light by night, which divideth the sea when the waves thereof roar; The LORD of hosts is his name." Dan. 12:3 "And they that be wise shall shine as the brightness of the firmament; and they that turn many to righteousness as the stars for ever and ever." Matt.13:43 "Then shall the righteous shine forth as the sun in the kingdom of their Father. Who hath ears to hear, let him hear." Problem: Rev. 21:23, 25; 22:5 Does not say they will cease, but only that there is no need for them in the city, for Christ is the perpetual light. "And the city had no need of the sun, neither of the moon, to shine in it: for the glory of God did lighten it, and the Lamb is the light thereof." "And the gates of it shall not be shut at all by day: for there shall be no night there." "And the gates of it shall not be shut at all by day: for there shall be no night there." Psa. 78:69 "And he built his sanctuary like high palaces, like the earth which he hath established for ever." Psa. 93:1 "The LORD reigneth, he is clothed with majesty; the LORD is clothed with strength, wherewith he hath girded himself: the world also is stablished, that it cannot be moved." Psa. 96:10 "Say among the heathen that the LORD reigneth: the world also shall be established that it shall not be moved: he shall judge the people righteously." Psa. 104:5 "Who laid the foundations of the earth, that it should not be removed for ever." Psa. 119:90 "Thy faithfulness is unto all generations: thou hast established the earth, and it abideth." Psa. 136:6 "To him that stretched out the earth above the waters: for his mercy endureth for ever." 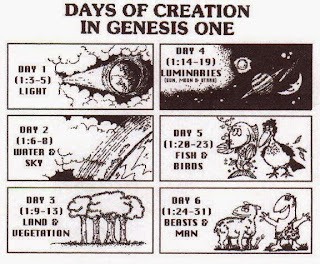 Gen. 6:7, 13, 17 "And the LORD said, I will destroy man whom I have created from the face of the earth; both man, and beast, and the creeping thing, and the fowls of the air; for it repenteth me that I have made them." "And God said unto Noah, The end of all flesh is come before me; for the earth is filled with violence through them; and, behold, I will destroy them with the earth." "And, behold, I, even I, do bring a flood of waters upon the earth, to destroy all flesh, wherein is the breath of life, from under heaven; and every thing that is in the earth shall die." Gen. 7:4 "For yet seven days, and I will cause it to rain upon the earth forty days and forty nights; and every living substance that I have made will I destroy from off the face of the earth." Gen. 8:1, 11 "And God remembered Noah, and every living thing, and all the cattle that was with him in the ark: and God made a wind to pass over the earth, and the waters asswaged." "And the dove came in to him in the evening; and, lo, in her mouth was an olive leaf plucked off: so Noah knew that the waters were abated from off the earth." Gen. 9:12-17 "And God said, This is the token of the covenant which I make between me and you and every living creature that is with you, for perpetual generations: I do set my bow in the cloud, and it shall be for a token of a covenant between me and the earth. And it shall come to pass, when I bring a cloud over the earth, that the bow shall be seen in the cloud: And I will remember my covenant, which is between me and you and every living creature of all flesh; and the waters shall no more become a flood to destroy all flesh. And the bow shall be in the cloud; and I will look upon it, that I may remember the everlasting covenant between God and every living creature of all flesh that is upon the earth. And God said unto Noah, This is the token of the covenant, which I have established between me and all flesh that is upon the earth." "And the LORD appeared unto Abram, and said, Unto thy seed will I give this land: and there he built an altar unto the LORD, who appeared unto him." "And the LORD said unto Abram, after that Lot was separated from him, Lift up now thine eyes, and look from the place where thou art northward, and southward, and eastward, and westward: For all the land which thou seest, to thee will I give it, and to thy seed for ever. And I will make thy seed as the dust of the earth: so that if a man can number the dust of the earth, then shall thy seed also be numbered. Arise, walk through the land in the length of it and in the breadth of it; for I will give it unto thee." Gen. 15:7, 18 Dimensions and location. "And he said unto him, I am the LORD that brought thee out of Ur of the Chaldees, to give thee this land to inherit it." "In the same day the LORD made a covenant with Abram, saying, Unto thy seed have I given this land, from the river of Egypt unto the great river, the river Euphrates." "And I will establish my covenant between me and thee and thy seed after thee in their generations for an everlasting covenant, to be a God unto thee, and to thy seed after thee. And I will give unto thee, and to thy seed after thee, the land wherein thou art a stranger, all the land of Canaan, for an everlasting possession; and I will be their God." "He that is born in thy house, and he that is bought with thy money, must needs be circumcised: and my covenant shall be in your flesh for an everlasting covenant." "And God said, Sarah thy wife shall bear thee a son indeed; and thou shalt call his name Isaac: and I will establish my covenant with him for an everlasting covenant, and with his seed after him." "And he lighted upon a certain place, and tarried there all night, because the sun was set; and he took of the stones of that place, and put them for his pillows, and lay down in that place to sleep. And he dreamed, and behold a ladder set up on the earth, and the top of it reached to heaven: and behold the angels of God ascending and descending on it. And, behold, the LORD stood above it, and said, I am the LORD God of Abraham thy father, and the God of Isaac: the land whereon thou liest, to thee will I give it, and to thy seed; And thy seed shall be as the dust of the earth, and thou shalt spread abroad to the west, and to the east, and to the north, and to the south: and in thee and in thy seed shall all the families of the earth be blessed. And, behold, I am with thee, and will keep thee in all places whither thou goest, and will bring thee again into this land; for I will not leave thee, until I have done that which I have spoken to thee of." "And Jacob said unto Joseph, God Almighty appeared unto me at Luz in the land of Canaan, and blessed me, And said unto me, Behold, I will make thee fruitful, and multiply thee, and I will make of thee a multitude of people; and will give this land to thy seed after thee for an everlasting possession." "And Joseph said unto his brethren, I die: and God will surely visit you, and bring you out of this land unto the land which he sware to Abraham, to Isaac, and to Jacob." Exod. 3:1-10 Moses called to bring people to the land. "Now Moses kept the flock of Jethro his father in law, the priest of Midian: and he led the flock to the backside of the desert, and came to the mountain of God, even to Horeb. And the angel of the LORD appeared unto him in a flame of fire out of the midst of a bush: and he looked, and, behold, the bush burned with fire, and the bush was not consumed. And Moses said, I will now turn aside, and see this great sight, why the bush is not burnt. And when the LORD saw that he turned aside to see, God called unto him out of the midst of the bush, and said, Moses, Moses. And he said, Here am I. And he said, Draw not nigh hither: put off thy shoes from off thy feet, for the place whereon thou standest is holy ground. Moreover he said, I am the God of thy father, the God of Abraham, the God of Isaac, and the God of Jacob. And Moses hid his face; for he was afraid to look upon God. And the LORD said, I have surely seen the affliction of my people which are in Egypt, and have heard their cry by reason of their taskmasters; for I know their sorrows; And I am come down to deliver them out of the hand of the Egyptians, and to bring them up out of that land unto a good land and a large, unto a land flowing with milk and honey; unto the place of the Canaanites, and the Hittites, and the Amorites, and the Perizzites, and the Hivites, and the Jebusites. Now therefore, behold, the cry of the children of Israel is come unto me: and I have also seen the oppression wherewith the Egyptians oppress them. Come now therefore, and I will send thee unto Pharaoh, that thou mayest bring forth my people the children of Israel out of Egypt." Exod. 6:1-4, 8 Promise to Moses to bring the people to the land. "Then the LORD said unto Moses, Now shalt thou see what I will do to Pharaoh: for with a strong hand shall he let them go, and with a strong hand shall he drive them out of his land. And God spake unto Moses, and said unto him, I am the LORD: And I appeared unto Abraham, unto Isaac, and unto Jacob, by the name of God Almighty, but by my name JEHOVAH was I not known to them. And I have also established my covenant with them, to give them the land of Canaan, the land of their pilgrimage, wherein they were strangers." "And I will bring you in unto the land, concerning the which I did swear to give it to Abraham, to Isaac, and to Jacob; and I will give it you for an heritage: I am the LORD." "And ye shall observe this thing for an ordinance to thee and to thy sons for ever. And it shall come to pass, when ye be come to the land which the LORD will give you, according as he hath promised, that ye shall keep this service." Exod. 13:5 "And it shall be when the LORD shall bring thee into the land of the Canaanites, and the Hittites, and the Amorites, and the Hivites, and the Jebusites, which he sware unto thy fathers to give thee, a land flowing with milk and honey, that thou shalt keep this service in this month." Exod. 32:13 "Remember Abraham, Isaac, and Israel, thy servants, to whom thou swarest by thine own self, and saidst unto them, I will multiply your seed as the stars of heaven, and all this land that I have spoken of will I give unto your seed, and they shall inherit it for ever." 1 Chron. 23:25 "For David said, The LORD God of Israel hath given rest unto his people, that they may dwell in Jerusalem for ever:"
1 Chron. 28:4-8 "Howbeit the LORD God of Israel chose me before all the house of my father to be king over Israel for ever: for he hath chosen Judah to be the ruler; and of the house of Judah, the house of my father; and among the sons of my father he liked me to make me king over all Israel: And of all my sons, (for the LORD hath given me many sons,) he hath chosen Solomon my son to sit upon the throne of the kingdom of the LORD over Israel. And he said unto me, Solomon thy son, he shall build my house and my courts: for I have chosen him to be my son, and I will be his father. Moreover I will establish his kingdom for ever, if he be constant to do my commandments and my judgments, as at this day. Now therefore in the sight of all Israel the congregation of the LORD, and in the audience of our God, keep and seek for all the commandments of the LORD your God: that ye may possess this good land, and leave it for an inheritance for your children after you for ever." 2 Chron. 20:7 "Art not thou our God, who didst drive out the inhabitants of this land before thy people Israel, and gavest it to the seed of Abraham thy friend for ever?" Ezra 9:12 "Now therefore give not your daughters unto their sons, neither take their daughters unto your sons, nor seek their peace or their wealth for ever: that ye may be strong, and eat the good of the land, and leave it for an inheritance to your children for ever." Jer. 7:7 "Then will I cause you to dwell in this place, in the land that I gave to your fathers, for ever and ever." Jer. 17:25 "Then shall there enter into the gates of this city kings and princes sitting upon the throne of David, riding in chariots and on horses, they, and their princes, the men of Judah, and the inhabitants of Jerusalem: and this city shall remain for ever." Ezek. 37:25 "And they shall dwell in the land that I have given unto Jacob my servant, wherein your fathers have dwelt; and they shall dwell therein, even they, and their children, and their children's children for ever: and my servant David shall be their prince for ever." Psa. 72:17 "His name shall endure for ever: his name shall be continued as long as the sun: and men shall be blessed in him: all nations shall call him blessed." Psa. 125:1 "A Song of degrees. They that trust in the LORD shall be as mount Zion, which cannot be removed, but abideth for ever." Psa. 37:29 "The righteous shall inherit the land, and dwell therein for ever." Isa. 60:21 "Thy people also shall be all righteous: they shall inherit the land for ever, the branch of my planting, the work of my hands, that I may be glorified." Ezek. 37:26-28 "Moreover I will make a covenant of peace with them; it shall be an everlasting covenant with them: and I will place them, and multiply them, and will set my sanctuary in the midst of them for evermore. My tabernacle also shall be with them: yea, I will be their God, and they shall be my people. And the heathen shall know that I the LORD do sanctify Israel, when my sanctuary shall be in the midst of them for evermore." Isa. 9:6-7 "For unto us a child is born, unto us a son is given: and the government shall be upon his shoulder: and his name shall be called Wonderful, Counsellor, The mighty God, The everlasting Father, The Prince of Peace. Of the increase of his government and peace there shall be no end, upon the throne of David, and upon his kingdom, to order it, and to establish it with judgment and with justice from henceforth even for ever. The zeal of the LORD of hosts will perform this." Isa. 66:22 "For as the new heavens and the new earth, which I will make, shall remain before me, saith the LORD, so shall your seed and your name remain." "And God said, Let us make man in our image, after our likeness: and let them have dominion over the fish of the sea, and over the fowl of the air, and over the cattle, and over all the earth, and over every creeping thing that creepeth upon the earth." This consisted in bringing into existence the heavens and the earth without the use of preexisting material. "But to us there is but one God, the Father, of whom are all things, and we in him; and one Lord Jesus Christ, by whom are all things, and we by him." John 1:3 "All things were made by him; and without him was not any thing made that was made." 1 Cor. 8:6 "But to us there is but one God, the Father, of whom are all things, and we in him; and one Lord Jesus Christ, by whom are all things, and we by him." Col. 1:16-17 "For by him were all things created, that are in heaven, and that are in earth, visible and invisible, whether they be thrones, or dominions, or principalities, or powers: all things were created by him, and for him: And he is before all things, and by him all things consist." Heb. 1:2 "Hath in these last days spoken unto us by his Son, whom he hath appointed heir of all things, by whom also he made the worlds." Gen. 1:2 "And the earth was without form, and void; and darkness was upon the face of the deep. And the Spirit of God moved upon the face of the waters." Job. 26:13 "By his spirit he hath garnished the heavens; his hand hath formed the crooked serpent." Psa. 33:6 "By the word of the LORD were the heavens made; and all the host of them by the breath of his mouth." Gen. 1:31 "And God saw every thing that he had made, and, behold, it was very good. And the evening and the morning were the sixth day." There was nothing about matter nor about the intelligences in it that lacked anything to measure up to perfection. Deut. 32:4 "He is the Rock, His work is perfect: for all His ways are judgment: a God of truth and without iniquity, just and right is He." Eph. 1:4 "According as he hath chosen us in him before the foundation of the world, that we should be holy and without blame before him in love." Eph. 3:11 "According to the eternal purpose which he purposed in Christ Jesus our Lord." Rev. 4:11 "Thou art worthy, O Lord, to receive glory and honour and power: for thou hast created all things, and for thy pleasure they are and were created." Col. 1:16 "For by Him were all things created, that are in heaven, and that are in earth, visible and invisible, whether they be thrones, or dominions, or principalities, or powers: all things were created by Him, and for Him." John-1:14, 18 "And the Word was made flesh, and dwelt among us, (and we beheld his glory, the glory as of the only begotten of the Father,) full of grace and truth." "No man hath seen God at any time; the only begotten Son, which is in the bosom of the Father, he hath declared him." cf. Ezek. 43:2 "And, behold, the glory of the God of Israel came from the way of the east: and his voice was like a noise of many waters: and the earth shined with his glory." Eph. 1:11 "In whom also we have obtained an inheritance, being predestinated according to the purpose of him who worketh all things after the counsel of his own will." Heb. 1:3 "Who being the brightness of his glory, and the express image of his person, and upholding all things by the word of his power, when he had by himself purged our sins, sat down on the right hand of the Majesty on high." Men were made in the image of God and therefore capable of apprehending, appreciating, and applauding the glory of God. Gen. 1:26-27 "And God said, Let us make man in our image, after our likeness: and let them have dominion over the fish of the sea, and over the fowl of the air, and over the cattle, and over all the earth, and over every creeping thing that creepeth upon the earth. So God created man in his own image, in the image of God created he him; male and female created he them." John 1:14, 18 "And the Word was made flesh, and dwelt among us, (and we beheld his glory, the glory as of the only begotten of the Father,) full of grace and truth." "No man hath seen God at any time; the only begotten Son, which is in the bosom of the Father, he hath declared him." John 14:8-9 "Philip saith unto him, Lord, show us the Father, and it sufficeth us. Jesus saith unto him, Have I been so long time with you, and yet hast thou not known me, Philip? he that hath seen me hath seen the Father; and how sayest thou then, Show us the Father?" 2 Cor. 4:6 "For God, who commanded the light to shine out of darkness, hath shined in our hearts, to give the light of the knowledge of the glory of God in the face of Jesus Christ." Ezek. 43:2 "And, behold, the glory of the God of Israel came from the way of the east: and his voice was like a noise of many waters: and the earth shined with his glory." "But after thy hardness and impenitent heart treasurest up unto thyself wrath against the day of wrath and revelation of the righteous judgment of God; Who will render to every man according to his deeds." Matt. 11:20-24 Salvation is not according to works, but judgment focuses on works on earth. "Then began he to upbraid the cities wherein most of his mighty works were done, because they repented not: Woe unto thee, Chorazin! woe unto thee, Bethsaida! for if the mighty works, which were done in you, had been done in Tyre and Sidon, they would have repented long ago in sackcloth and ashes. But I say unto you, It shall be more tolerable for Tyre and Sidon at the day of judgment, than for you. And thou, Capernaum, which art exalted unto heaven, shalt be brought down to hell: for if the mighty works, which have been done in thee, had been done in Sodom, it would have remained until this day. But I say unto you, That it shall be more tolerable for the land of Sodom in the day of judgment, than for thee." "And that servant, which knew his lord's will, and prepared not himself, neither did according to his will, shall be beaten with many stripes. But he that knew not, and did commit things worthy of stripes, shall be beaten with few stripes. For unto whomsoever much is given, of him shall be much required: and to whom men have committed much, of him they will ask the more." "There was a certain rich man, which was clothed in purple and fine linen, and fared sumptuously every day: And there was a certain beggar named Lazarus, which was laid at his gate, full of sores, And desiring to be fed with the crumbs which fell from the rich man's table: moreover the dogs came and licked his sores. And it came to pass, that the beggar died, and was carried by the angels into Abraham's bosom: the rich man also died, and was buried; And in hell he lift up his eyes, being in torments, and seeth Abraham afar off, and Lazarus in his bosom. And he cried and said, Father Abraham, have mercy on me, and send Lazarus, that he may dip the tip of his finger in water, and cool my tongue; for I am tormented in this flame. But Abraham said, Son, remember that thou in thy lifetime receivedst thy good things, and likewise Lazarus evil things: but now he is comforted, and thou art tormented. And beside all this, between us and you there is a great gulf fixed: so that they which would pass from hence to you cannot; neither can they pass to us, that would come from thence. Then he said, I pray thee therefore, father, that thou wouldest send him to my father's house: For I have five brethren; that he may testify unto them, lest they also come into this place of torment. Abraham saith unto him, They have Moses and the prophets; let them hear them. And he said, Nay, father Abraham: but if one went unto them from the dead, they will repent. And he said unto him, If they hear not Moses and the prophets, neither will they be persuaded, though one rose from the dead." cf. Bottomless Pit - Rev. 20:1-2; Luke 8:31 real pit, going down morally and spiritually forever. "And they besought him that he would not command them to go out into the deep." cf. Wandering Stars - Jude 13 - a star broken away from its place, wandering on with no destination. "Raging waves of the sea, foaming out their own shame; wandering stars, to whom is reserved the blackness of darkness for ever." Cf. Psa. 90:1 "Lord thou hast been our dwelling place in ages past" -- contrast. Outer darkness - Matt. 25:30 "And cast ye the unprofitable servant into outer darkness: there shall be weeping and gnashing of teeth." 2 Pet. 2:17 Exclusion from the immediate presence of God. "These are wells without water, clouds that are carried with a tempest; to whom the mist of darkness is reserved for ever." Undying worm - Mark 9:47-48 Gnawing of remorse and conscience. "And if thine eye offend thee, pluck it out: it is better for thee to enter into the kingdom of God with one eye, than having two eyes to be cast into hell fire: Where their worm dieth not, and the fire is not quenched." 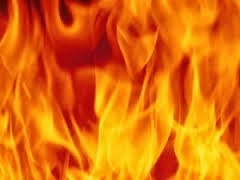 Unquenchable fire - Mark 9:47-48 Internal burning forever of men's sinful passions with no body to execute them. "But if they cannot contain, let them marry: for it is better to marry than to burn." Are these terms to be taken literally? Doesn't matter much how you take them. The symbol or figure is always less than the thing symbolized. Literal but not material - arg. Christ deliberately chose the terms - darkness, worm, fire. Adds to each an idea which magnifies the reality. Mark 9:47-48 the darkness is "outer," for with fire you have light. Fire is "not quenched" worm is "undying." James 3:6 suggests the meaning of "Gehenna fire." Fire here is certainly not material fire. "And the tongue is a fire, a world of iniquity: so is the tongue among our members, that it defileth the whole body, and setteth on fire the course of nature; and it is set on fire of hell." Raging fire of human hatred, and other passions. Sin is seated in the spirit, not the body. Body is only the instrument by which the passion is satisfied. cf. Demons - Matt. 8:29 f.f. "And, behold, they cried out, saying, What have we to do with thee, Jesus, thou Son of God? art thou come hither to torment us before the time?" to lose the body is torment for the body is the instrument for the desires to be carried out or performed. cf. the "second death." where there is permanent disembodiment. Each person makes his own hell by accumulating desires over the life and now has no instrument to perform or fulfill those desires.